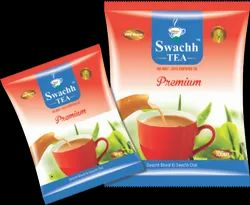 This product is the staple product of our brand Swachh Tea. It is the result of immense research and development from our end and hence is crowned as the most premium product of our portfolio. Sourcing tea from the best high grown teas in the gardens of Assam and Bengal, a cup of Swachh Premium in the morning will refresh your mornings. Riding on unfathomable volumes of industrial expertise, we are engaged in offering a broad assortment of Darjeeling Premium Tea. With a firm commitment to quality, our organization is engaged in offering a wide ambit of Premium Tea. We are among the reputed organizations, highly engaged in providing an optimum quality range of Organic Premium Tea. This product is the result of immense research and development from our end and hence is crowned as the most premium product in our portfolio. 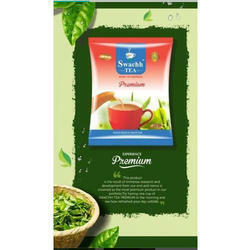 Try having one cup of Swachh Tea Premium in the morning and see how refreshed your day unfolds. Being a leader in the industry, we are engaged in offering a qualitative range of Natural Premium Tea.